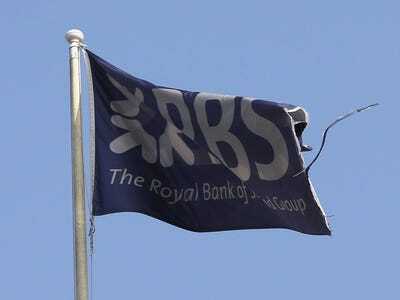 Royal Bank of Scotland was fined 56 million pounds ($US88 million) by Britain’s financial regulators for a system crash in 2012 that left millions of customers unable to make or receive payments. The penalties comprised a 42 million pound fine from the Financial Conduct Authority and a 14 million pound fine from the Prudential Regulation Authority. The two regulators conducted a joint investigation into the matter and the fine from the PRA is the first it has imposed since its creation in April 2013. The regulator said it had handed out the fine for “inadequate systems and controls” at the bank. “The problems arose due to failures at many levels within RBS to identify and manage the risks which can flow from disruptive IT incidents and the result was that RBS customers were left exposed to these risks,” said Tracey McDermott, director of enforcement and financial crime at the FCA. The incident had already cost the bank 175 million pounds in compensation for customers and extra payments to staff after the bank opened branches for longer in response. That included 70.3 million pounds paid out in compensation to UK customers affected by the outage and 460,000 pounds to non-RBS customers who were affected. The bank suffered a further technology outage in December last year, which left more than 1 million customers unable to withdraw cash or pay for goods on one of the busiest shopping days of the year. Japan Voters To PM Abe: Why Call An Election Now?